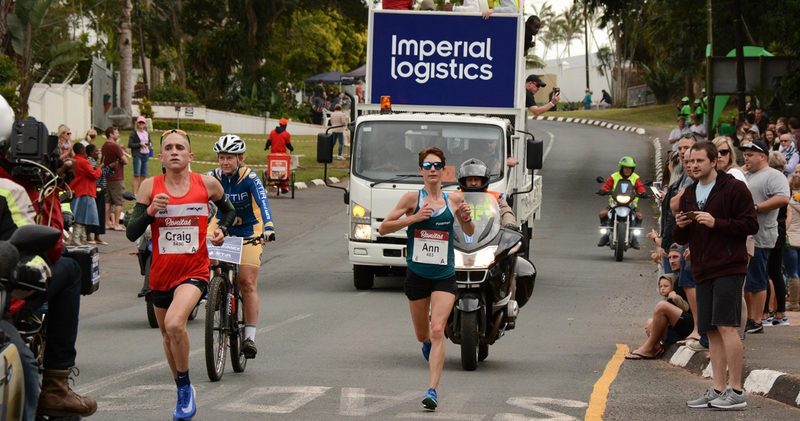 The 2018 Comrades Marathon was a milestone event for Imperial Logistics’ truck rental business. This year marked the company’s 30th Comrades Marathon. Imperial Logistics supplies the media trucks that enable local and international media representatives to communicate powerful images of the agony and the ecstasy of the Comrades to viewers around the world, explains Imperial Logistics’ chief strategy officer, Cobus Rossouw. “We are extremely proud of our long association with the world’s oldest and largest ultra-marathon,” he enthuses. For the 2018 Comrades Marathon, four-ton dropside trucks were supplied to carry the host of media representatives covering the event. “These media trucks are customised for the Comrades. They featured special stands to seat the reporters and photographers, as well as exhaust attachments to lift exhaust fumes away from runners’ faces,” Rossouw explains. There was constant two-way communication via radio between the truck cabs and the press on the back of the trucks, to relay instructions, he adds. This year’s 93rd Comrades Marathon, which took place on Sunday, 10 June, saw Arthur Ford Athletic Club’s Bongmusa Mthembu claim his third Comrades victory in the Men’s Race. Massmart Athletics Club’s Ann Ashworth bagged her first win in the Women’s Race. A total of 19 058 runners started the race and 16 851 crossed the finish line. “It is an honour to have contributed to the success of this iconic event for three decades,” Rossouw concludes.